Once the thriving attraction of rural Vermont, the Tower Motel now stands in disrepair, alive only in the memories of Amy, Piper, and Piper's kid sister, Margot. The three played there as girls until the day their games uncovered something dark and twisted in the motel's past, something that ruined their friendship forever. Henry, Tess, Winnie, and Suz banded together in college to form a group they called the Compassionate Dismantlers. Following the first rule of their manifesto - "To understand the nature of a thing, it must be taken apart" - these daring misfits spend the summer after graduation in a remote cabin in the Vermont woods committing acts of meaningful vandalism and plotting elaborate, often dangerous, pranks. But everything changes when one particularly twisted experiment ends in Suz's death and the others decide to cover it up. The summer of 1985 changes Reggie’s life. An awkward 13-year-old, she finds herself mixed up with the school outcasts. That same summer, a serial killer called Neptune begins kidnapping women. He leaves their severed hands on the police department steps and, five days later, displays their bodies around town. Just when Reggie needs her mother, Vera, the most, Vera’s hand is found on the steps. But after five days, there’s no body and Neptune disappears. Now, 25 years later, Reggie is a successful architect who has left her hometown and the horrific memories of that summer behind. On a soft summer night in Vermont, 12-year-old Lisa went into the woods behind her house and never came out again. Before she disappeared, she told her little brother, Sam, about a door that led to a magical place where she would meet the King of the Fairies and become his queen. Fifteen years later, Phoebe is in love with Sam, a practical, sensible man who doesn't fear the dark and doesn't have bad dreams - who, in fact, helps Phoebe ignore her own. 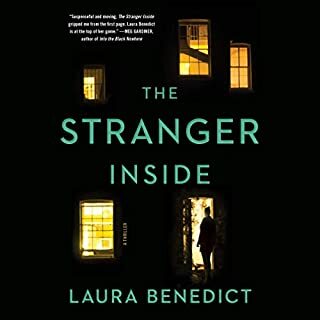 But suddenly the couple is faced with a series of eerie, unexplained occurrences that challenge Sam's hardheaded, realistic view of the world. As they question their reality, a terrible promise Sam made years ago is revealed - a promise that could destroy them all. What made the experience of listening to Don't Breathe a Word the most enjoyable? Just when you think you completely understand what's going on, a kink gets thrown into the plot and you start to doubt everything you know so far. It's an addicting mystery and it kept me lying on the cough listening to what was supposed to be entertainment for my commute. Have you listened to any of Lily Rains’s other performances before? How does this one compare? I haven't heard her other performances, but she does a great job. Nothing ruins a book more than a bad narrator- Lily Rains gave all the characters their own voice, and the overall narrative a great delivery. Who was the most memorable character of Don't Breathe a Word and why? Lisa, hands down. I still can't decide if there was a supernatural element to the book or not , but I do want to reach into that book and take that girl somewhere safe. Both Lisa and Evie- it's one of those stories where you start out witnessing the train wreck and spend the rest of it wanting to let everyone know what's waiting for them if they keep on. 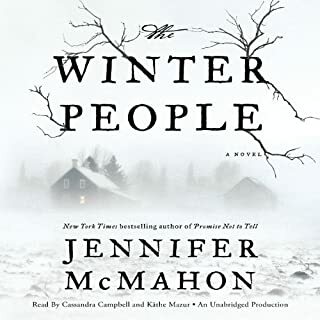 I wish the ending were different, the only reason I gave it 4 instead of 5 stars, but the rest of the book was great, and my thoughts on the ending aren't negative enough to stop me from recommending it. 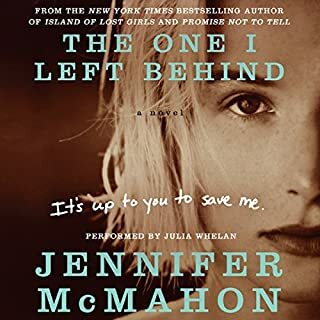 No-- I really enjoy Jennifer McMahon but this wasn't the best book. Did Don't Breathe a Word inspire you to do anything? The story was enchanting at first, really bringing you back to being a kid and believing in mysteries and fairy tales. But it went back and forth between NOW and 15 years ago and I guess I wanted the NOW to wrap up more realistically. It had some twists I didn't see coming, and I liked that and it DID open the door for a sequel. Overall, a good listen with an excellent narrator. Good story, narrator should not do voices. The ending was a let down. Not necessarily because it wasn't a neat tidy happy ending but in the end, but circumstances didn't unfold to solve the book - it was explained in way too much narrative. I would have liked to see a better, well put together ending. 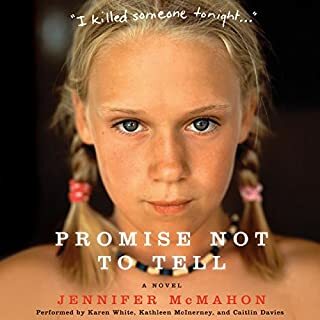 Would you be willing to try another book from Jennifer McMahon? Why or why not? Yes, I liked many elements of the story. By far, not the worst I have heard, but i find it extremely distracting and irritating when narrators try to do voices. No - too scary! Ha. Being drawn into the story, gripping, wanting, no needing to know more. Lisa, for her never-ending belief and sacrifice for it. Which character – as performed by Lily Rains – was your favorite? All of them, she did well with all the variables. Lisa and The King of the Fairies ..Lisa for her naivety and unfaltering faith and The King for his guise and twisted reality developed at the hands of twisted fate. Good narration, Great dark story. I love the twists and the ability of this story to completely pull you in and leave you cringing. The author kept me guessing til the very end on this one. A truly engaging and enthralling read! Understand this is a 1st book by the author. If so, it is especially terrific. Couldn't stop until I had finished. Perfect scary level. I hope there are many, many more to come from this writer. Twists and turns the whole way through! I really enjoyed this book. I found myself listening to it with every spare minute that I had! It had me hooked early on and didn't let go until the end. So many twists in the story made it hard to stop listening! I love this book and highly recommend it to anyone who enjoys a good mystery. 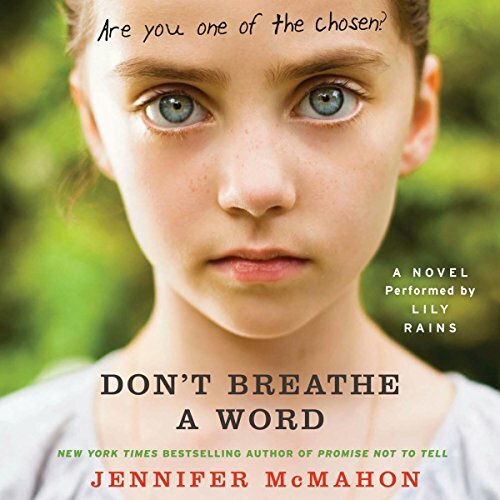 Author Jennifer McMahon has done it again. I was so happy to see that I had missed one of her books! I thought I had listened to them all. I was happy to be wrong and to have ONE left. 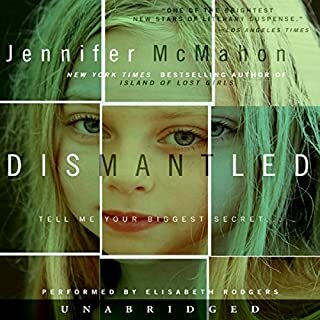 Author Jennifer McMahon has a unique way of spinning tales that leaves you wondering if things do go bump in the night, if humanity is truly in danger, and if the boogeyman does exist. This author keeps me hanging on every single word. 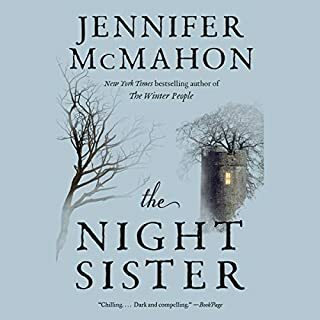 I love her writing style, her characters are so well developed, and she always has an element of make believe, magic or the super or paranormal mixed in just enough to make you question your own sanity. I love this author so much and I cannot wait for her to release MORE books for us to enjoy! A HUGE SHOUT OUT TO OUR NARRATOR LILY RAINS!!! EXCELLENT WORK!!! I like a story of reality crossing over into fantasy and back again, but this one left me wanting more. The last scene was like the last scene in a horror movie, but it didn't leave me breathless. With that being said, I enjoyed the storyline, premise and most of the characters. McMahon kept my attention. Overall, I enjoyed this book.